There are many fireplace options for homeowners to choose from these days. 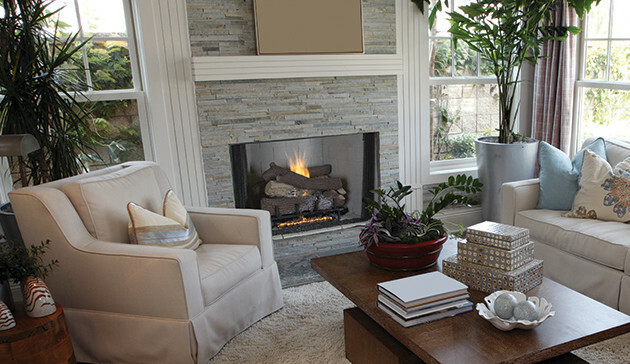 One popular choice are ventless gas fireplaces. You might want to do a little research to see if this option is right for you and your home. Like other fireplaces that do not burn wood, not having to chop firewood is a big advantage. Sure, at first there is a certain romantic nature about chopping firewood. It can give you the sense of “getting back to nature.” But that feeling can quickly evaporate. The reality is it’s really hard work. 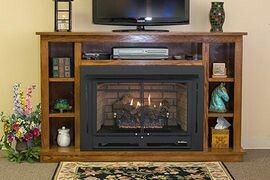 So, what are some reasons to go the ventless fireplace route? Well, one big plus is it does not require you to poke a hole in your walls or ceilings in order to run a vent through. As the name implies, there is no need for a flue or chimney. And if you are on a tight budget (and who isn’t?) ventless fireplaces are considerably cheaper to install, operate and require virtually no maintenance. That is definitely not true of all fireplaces. Some are quite pricey to operate and are very high maintenance.